When we want enjoy Apple Music in other device, it's impossible for you without Apple Music DRM removal. With DRM protection, Apple Music can be only enjoyed in iOS or iTunes. 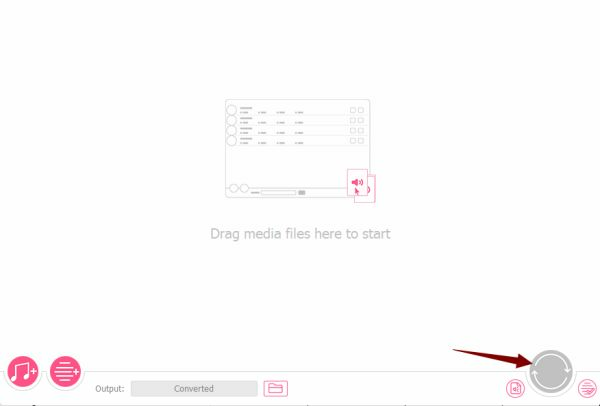 With DRM removal, we can convert Apple Music into unprotected audio files to MP3, AAC, WAV, FLAC, M4A, etc. for playback on any device and player. “ I am a new apple fan. I just bought an iPhone X yesterday, but it seems that I'm not skilled in using apple products. I like to listen music, but I found that I need pay for Apple Music which is not free for us. But in order to suit my need. I paid for Apple Music. I have a small MP3 player, I want to transfer the music from my iPhone to my MP3 player, but I tried many times and it didn't work. I don't know why, I have already paid for it, it shouldn't be my music. Yet? Can't I still pass to other devices? ”-From one new apple fan's doubt. Part 1: DRM protection for Apple Music? Part 2: DRM protection removal! As for those who expert in the domain of unique technology, DRM protection is easy for them. But for most of us, DRM protection is unfamiliar for us. More detail explanation of DRM. DRM-Digital Rights Management, with the development of digital information, we must have a unique technology to enhance the protection of digital audio, video, documents, and e-books. This is a way of protecting intellectual property. There are two types of DRM protection. 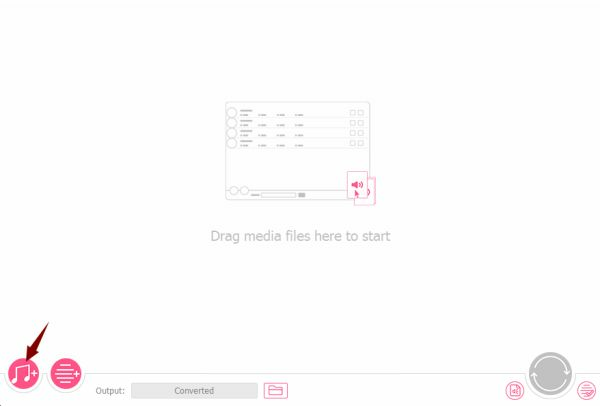 One is multimedia protection, such as encryption of movies, music, audio and video, and streaming media files. The other type is encryption of documents, such as Word, Excel, PDF. M4P in Apple Music and iTunes is protected by DRM, M4A is another format of apple and iTunes music, which is unprotected by DRM and we can also play m4a in Windows Media Player，KSP Sound Player，Nullsoft Winamp Media Player，Roxio Creator，NCH Swift Sound WavePad. So if we want enjoy iTunes and Apple Music in other device, you need remove DRM from m4p, convert M4P to other audio formats like M4A, MP3, AAC, FLAC, WAV etc. Especially the format mp3, which is widely used format, in Android phone: Samsung, HUAWEI, LG, Sony etc, mp3 is suitable for all Android phone, and other mp3 players. How to remove DRM protection on iPhone? We can use DRM removal online to remove DRM, you need load m4p files to browser, then remove DRM protection, convert M4P to MP3, M4A, FLAC etc. But with Eelphone Apple Music Converter, load M4P music from computer directly, no need browser, we can even convert M4P to MP3, M4A, FLAC ETC offline. Just in several steps, we can remove DRM protection, convert M4P to other format. 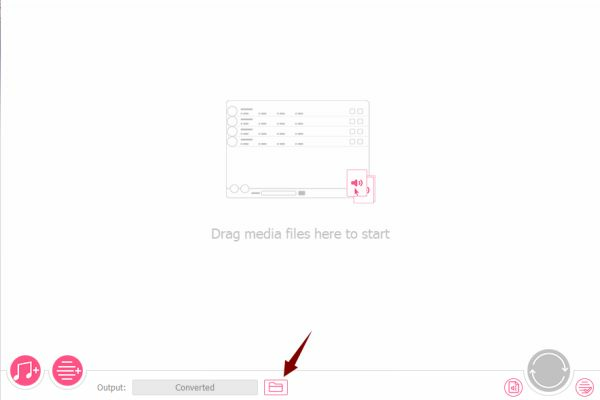 Step 1: Download Eelphone Apple Music Converter to your Window or Mac, launch it via double click on it. When you have launched it, your iTunes will launch automatically. Click on the “ Load iTunes Library ” from the left, from which are DRM protected audios. Step 2: From the iTunes Library page, you can select from Audiobook or Apple Music, with the format of M4P. 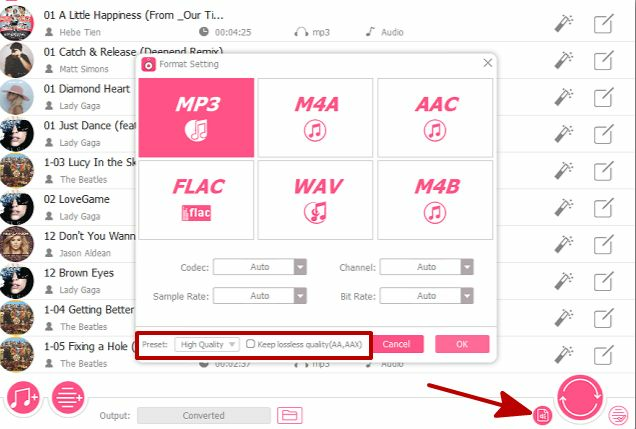 Step 3: Setting the output format, there are MP3, M4A, AAC, FLAC, WAV, M4B, 6 output formats for you, which are no DRM protection. And you can also define the output quality, lossless quality and high quality are for your choice. Step 4: Now, just click on “ Convert ” to remove DRM protection. Step 5: From the “ Converted ”, you can view all DRM removed Apple Music, and if you want see the place of the converted Apple Music, you can click on “ Open ”. OK, you have removed DRM protection, and you can enjoy DRM unlocked Apple Music in any other device as you like.